Thanks to everyone who's taken the time to share their feedback over the past few weeks! We've received some great suggestions about adding new features and making Hippopost even easier to use. We do listen to your feedback and are working as fast as we can to continue to evolve Hippopost. This week we're pleased to announce that we're allowing www.hippopost.com users to send up to 10 FREE postcards per day , and we've ramped up production so your postcards will arrive MUCH sooner! 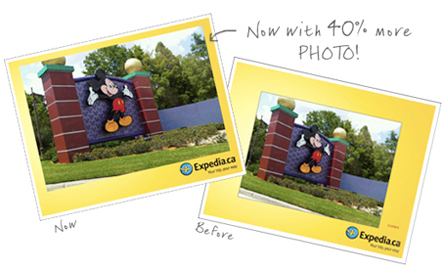 We're also very pleased to announce that we've dedicated almost 40% more area on the front of each postcard for YOUR photos! If you missed our first post on Hippopost (that's a mouthful), be sure to check it out for a bunch more info. And if you don't have it yet you can download Hippopost for BlackBerry from mobile.hippopost.com.